Botswana’s green season—when the air is cleaner, the colors are richer, and the babies are everywhere. After the rains, life explodes in the once-monochrome, semi-desert landscape of the Kalahari. Flowers spring forth from the sand, and crusty saltpans turn into shimmering wetlands full of honking water birds and colorful migratory species. Gemsbok and Eland swarm the plains of Deception Valley as new grass shoots sprout. Droves of wildebeest and zebra wind their way through the Makgadikgadi grasslands. Water-adapted antelope take to the floodplains of the Okavango Delta. And with all this game, predators are never far away. The legendary Kalahari Black-maned Lion, Black-backed Jackal, Leopard, Cheetah and wild dog are all on the hunt, making the green season the best time to watch the great “circle of life” in action. Join Apex on our Botswana Green Season Safari as we take in the sheer abundance of life during Botswana’s most productive and vibrant time of year. Arrive in Johannesburg. Meet your expedition leaders and fellow travelers at a welcome dinner and overnight at the Southern Sun O.R. Tambo Airport Hotel. Transfer to the airport this morning for your scheduled flight to Maun. Once through customs and immigration, board your light aircraft flight to Tau Pan Camp, located in one of the most remote parts of the Central Kalahari Game Reserve (CKGR).The CKGR is the largest conservation area in Botswana and, at 12 million acres, one of the largest in the world. Thanks to a diversity of habitats—grassy plains, seasonal pans, wooded Acacia islands, fossil riverbeds—healthy game populations move through the area all year long.But this time of year, new grass shoots in the pan systems draw Kalahari Springbok, Gemsbok and Blue Wildebeest by the hundreds and thousands. This abundance of plains game, many with defenseless babies in tow, attracts predators such as the Kalahari Black-maned Lion, Black-backed Jackal, Leopard, and Cheetah. In the green season, Botswana’s birding goes from superb to sensational, as characteristic residents such as the African Openbill, Bateleur and Lilac-breasted Rollerare joined by migratory counterparts like Abdim’s Stork from equatorial Africa, Steppe Eagle from Asia and European Roller from Europe. Dinner and overnight at Tau Pan Camp. Tau Pan Camp is quite unusual for flat Botswana, as it stands on the elevated ridge of an ancient sand dune, affording guests amazing panoramic views over the famous Tau Pan, recognized for its stark beauty and remoteness.From this vantage point, it is likely that you’ll spot animals fromthe breakfast table. However, morning and evening game drives, and optional “Bushman walks” will get you even closer to the wildlife. Track massive herds of Oryx, desert-adapted Springbok and Wildebeest around Tau, Sunday, Piper and Passarge Pans. Look for the rare Brown Hyena in Deception Valley,lurking alongside smaller predators such as Honey Badger, Bat-eared and Cape Fox, and the endearing Meerkat. Keep an eye out for such bird specials as Lanner Falcon, Double-banded Courser and Kalahari Scrub-robin. Dinner and overnight at Tau Pan Camp. This morning, head to the airstrip for a flight to San Camp at the eastern edge of Makgadikgadi Pans, the world’s largest saltpan landscape. Normally a stark white desert, it fills with grass and wildflowers during the green season, inviting Africa’s longest zebra migration, as well as Oryx, Springbok, Aardwolf and Brown Hyena. Dinner and overnight at San Camp. Rise early and spend the morning alongside the habituated, and incredibly friendly, Meerkats of San Camp. Watch as they stick their noses out of their burrows to sniff for signs of danger, then emerge and position themselves with their chests to the rising sun to shake off the night’s cold. Sit with them long enough, and they may use your head as a sentry point to watch for eagles, their greatest predator. Later, take a game drive to Nwetwe Pan, admiring the magnificent ancient Baobabs along the way. Nwetwe is one of southern Africa’s most important Lesser and Greater Flamingo breeding sites. Pink clouds of flamingoes fill the air this time of year, as Ostriches, korhaans and Secretary Birds scour the grass below. See great herds of Wildebeest, zebra and Impala grazing, while Lion, Cheetah, Leopard, Jackal and hyena lurk nearby, awaiting their opportunity. Dinner and overnight at San Camp. As an exercise in contrasts, fly today to the wondrous wetland within the Kalahari, known as the Okavango Delta. Produced by seasonal flooding, the delta is comprised of nearly 6,000 square miles of water channels, lagoons, and islands. Declared one of the Seven Natural Wonders of Africa in 2013, it boasts some of the densest wildlife concentrations on the continent. Large numbers of more widely distributed mammals and birds occur alongside specialties that are rarely encountered elsewhere in Africa, such as the charismatic and endangered African Wild Dog, Zambezi Sitatunga, and Wattled Crane. Kwara Camp is located in a private concession to the north of the delta, known for its abundant birdlife during the rainy season. Dinner and overnight at Kwara Camp. Enjoy morning and late afternoon game drives. The area will be rife with palatable grasses and productive Mopane and Acacia woodlands, which lure many species of plains game, including elephant, giraffe, zebra, Sitatunga, Red Lechwe, Tsessebe, Impala, Hippo, and, on rare occasion, White Rhino. Lion, Cheetah and Leopard are seen frequently. 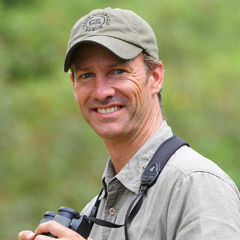 The variety of bird life is impressive, with woodland specialties such as Bateleur Eagle, Red-crested Korhaan, Southern Yellow-billed Hornbill, Dickinson’s Kestrel, Meyer’s Parrot and the glamorous Crimson-breasted Shrike, and a vast array of wetland birds, such as the highly localized Slaty Egret, African Skimmer, Pel’s Fishing Owl and Black-chested Snake-eagle on the waterways. A fine way to see the wetland wildlife is to light out on the Delta’s crystal-clear water in a traditional dug-out canoe called a mokoro, from which you can watch the wildlife at eye level, or a double-decker boat that visits the Godikwe Lagoon in the waters of the Moremi Game Reserve. Dinners and overnights at Kwara Camp. It is farewell to the Okavango as you fly north to the wild banks of the Kwando River in Botswana’s remote Linyanti region, skirting the border with Namibia. Densely wooded with Ebony and Marula trees, the Kwando Reserve has a well-earned reputation for big game and large herds of elephant and buffalo. A wild dog pack regularly dens close to the camp, and the excellent viewing opportunities have led to Lagoon Camp’s reputation as the place to see African Wild Dog in Botswana. Dinner and overnight at Lagoon Camp. Take two full days to soak up Kwando’s exquisite scenery and varied habitats. Along with morning game drives to seek out the area’s Lion, Leopard, Cheetah, and African Wild Dog, night drives will reveal a whole separate array of nocturnal species such as Lesser Bushbaby, Spring Hare, Large Spotted Genet and, if you’re lucky, the elusive Aardwolf or Serval. The birding is spectacular, with such specialties as Slaty Egret, White-rumped Babbler, and Wattled Crane. Walking safaris will bring you even closer to the wildlife, and a boat cruise down the Kwando River is a breathtaking experience not to be missed. Meals and overnights at Lagoon Camp. After breakfast, fly due east to Kasane, then load into vehicles for an hour-long drive that takes you across the border to Zimbabwe. Settle into Old Drift Lodge, perched on the banks of the Zambezi River, upstream from Victoria Falls. A glance across the Zambezi may well reveal great pods of hippo or herds of elephantgathered at the water’s edge. This evening, board a boat for a river safari to see a staggering number of Hippos and Nile Crocodiles. Listen for the grunts of Hippos, the trumpet of elephants and the call of fish eagles as you drift to sleep tonight. Dinner and overnight at Old Drift Lodge. Before breakfast, take in the grandeur of Victoria Falls, or Mosi-oa-Tunya (The Smoke That Thunders) in the local Tonga language. Venture close enough to feel its spray, and marvel over the sheer size of the world’s largest sheet of falling water. This afternoon, enjoy a game drive through the park, looking for elephant, buffalo and Lion, a healthy Leopard population, herds of Sable, Eland, Kudu, Waterbuck and Impala. Birds to look for include bee-eaters, darters, eagles and storks, as well as many species of kingfisher—Pied, Giant, Woodland, Malachite and Brown-hooded—are all common here. This evening, gather with your expedition leaders and fellow travelers for a farewell dinner. Dinner and overnight at Old Drift Lodge. This morning, transfer by vehicle to the Victoria Falls Airport for your connecting flights home. 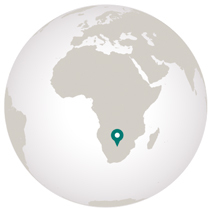 In addition to all tour services from arrival in Johannesburg to departure from Victoria Falls, trip price includes all gratuities; services of an Apex expedition leader for every six guests, as well as local guides throughout; air Johannesburg to Maun, as well as all flights within Botswana, as noted in the itinerary; plus local beer and wine with lunch and dinner daily. Any visit to Botswana is memorable, but Jonathan’s favorite time to witness the spectacular circle of life is the green season. 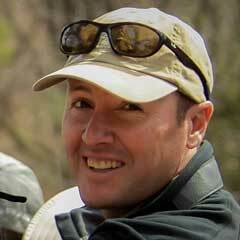 Marco is looking forward to observing the wonderfully varied and high densities of game in Botswana’s Okavango Delta. Largest of the terrestrial animals, elephants have several impressively heightened senses. Their keen sense of smell can detect water sources up to 12 miles away but recent studies have found that elephants are capable of detecting an approaching rainstorm up to 150 miles off thanks to their excellent hearing skills. Elephants can hear sounds at very low frequencies, something thunderstorms produce. Scientists aren’t sure whether it’s rumbling thunder or the sound of rain hitting the Earth but they know the animals can detecting some signature component of oncoming rain.